Not all children’s apps are the same. One of the questions you should ask yourself is does the app have any educational value? In a previous article called “A Proposed Children's App Rating System” we organized children’s apps into 5 categories:Educational Game - High to moderate educational value/teaches specific academic skill(s) Educational Activity - High to moderate educational value/teaches specific academic skill(s), but not a game Interactive Book - A story/book with interactive features such as animation, sound etc. 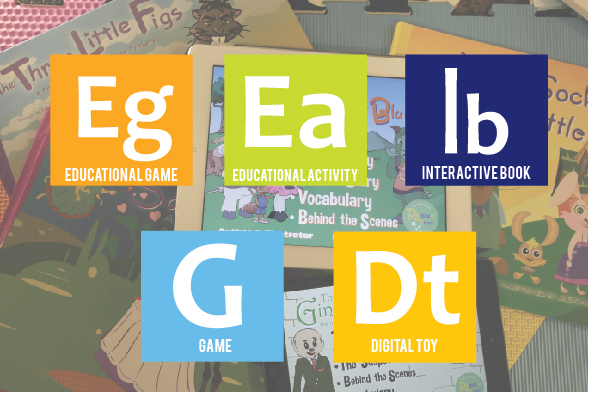 Digital Toy - Encourages play and discovery with digital objects Game - Strictly for play with no educational valueIt’s important to know what kind of app you are purchasing. • Interactive Book - A story/book with interactive features such as animation, sound etc. • Game - Strictly for play with no educational value. Are you looking for an app that will keep your child busy or entertained? Do you want your child to learn something (math, social studies, writing etc.)? When deciding on apps make sure you have a clear goal for how the app can benefit your child’s educational needs. Are there additional hands-on or kinesthetic activities that come along with or are suggested for the app? Most teachers understand that mobile tablets are one of several tools to help students learn. As such many of our apps come with companion printable worksheets as well as suggested activities via our Pinterest board. We believe that learning takes place over the course of many modalities. For example, a child may have an interactive experience on a tablet with an app and complete worksheets and a hand-on activity that relate to the app. This beneficial approach provides a holistic experience and allows the child/student to experience the subject matter in different settings. What the best place to view an app? Once you’ve download an app pick a place where you and/or the child are free of distractions. In order to get the most out of your newly downloaded app it’s important to devote distraction free time to your new investment.